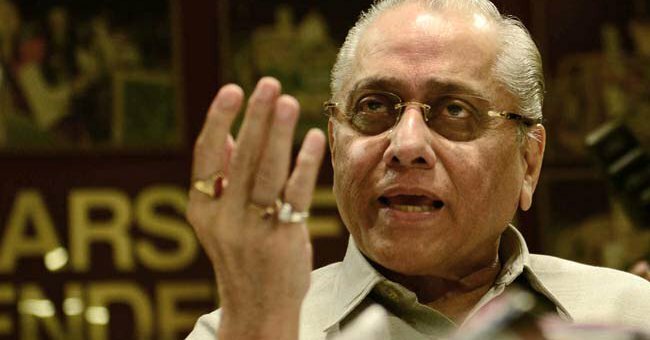 Sri Jagmohan Dalmiya: BCCI Cricket Board President – Astrology and Numerology!!! He was also nicknamed in the media as the “Machiavelli of Indian cricket”, “master of realpolitik”, the “master of comebacks” and so on.Twice president of bcci cricket board. He joined his father’s firm ML Dalmiya and Co. and made it into one of India’s top construction firms. His firm constructed Calcutta’s Birla Planetarium in 1963. In 1996, the BBC declared him to be one of the world’s top six sports executives. In 2005, he was awarded the International Journal of the History of Sports Achievement award for administrative excellence in global sport. He was also nicknamed in the media as the “Machiavelli of Indian cricket”, “master of realpolitik”, the “master of comebacks” and so on. Australian cricketer and commentator Ian Chappell has said of Dalmiya: “He has a vision for the game’s progress that I haven’t heard enunciated by any other so-called leader among cricket officials. Why was He So special for Cricket? Now Jupiter (birth date) is a planet that connects to outdoor sports and good administration(getting selected twice & being able to deliver for the BCCI cricket board is a clear indication of this). Also mercury (sun sign) connects closely to sports. Also mercury gives capability to sell. Now Sri Dalmiya was into cricket- which is an outdoor sport, he infact was a player in his youth. Also at the same time he had the ability to commercialize/sell cricket (That capability comes from his birth sign). Being motivated to do the best (the motivation number =1= Sun), he brought Indian cricket to a different dimension altogether. His destiny number =4= construction, building, dedicated and planned hard work and un expected events. He was into construction business earlier and then he was into building cricket to a different dimension. Also he had unexpected gains and problems in the career. Infact recently he was re appointed as the head of the cricket board- but now the soul has gone! This is explained by planet Uranus. Recent solar eclipse was there on 13th September 2015. Looking at the numerology perspective. His destiny number being 4=Rahu and the recent solar eclipse on 13th September has some connection. As the malefic energy due eclipse gets shared more by people with numbers 4/13/22/31 etc. Looking at the vedic astrology perspective. As the solar eclipse has to do with sun, the malefic energy is released mostly on Sundays( as Sundays are ruled by sun). 20th was a Sunday. As vedic astrology and numerology both suggests the solar eclipse was in Virgo and Gemini(his birth sign) also gets the malefic energy of sun due to solar eclipse and also 20th September when he left his body is in the month of Virgo. There is a great deal of malefic energy flowing to the body of the person and especially digestive and lower organs. Though it may not necessarily mean death, but still it indicates a possibility of high degree of problems. He has brought new life to Indian cricket and built it up to a new dimension (characteristic of number 4= Uranus/Rahu), with earnest dedication and enthusiasm of Jupiter. Given the view of vedic astrology and numerology,Jupiter the planet of love ,fun and dharma. Our humble tributes to the cricket maestro and BCCI president. Cricket and Sports Lovers would remember him for years to come! May the departed soul rest in peace. Amen. Your NEXT FEW MONTHS & Solar Eclipse 2015!